Standout Stocks was created by college students to teach everyone how to invest and form stable financial habits. We believe that no one is too young or too old to start learning how to take control of their financial future. So we developed three separate programs with varying concepts and teaching styles to accommodate all age groups. The Learning For Life program is our most exciting and engaging program. We designed this program to teach children lifelong investing skills, terms, and habits. We believe that starting early with these habits will help the kids get further in life faster. For more details visit our Learning For Life page. Children aren't the only ones who get to have fun. The Learning For Fun program is designed for teenagers and young adults. This program is focused on helping people with little investment knowledge start to fund the activities they actually enjoy. For more details visit our Learning For Fun page. We know the name Learning For Purpose might sound a little silly at first. 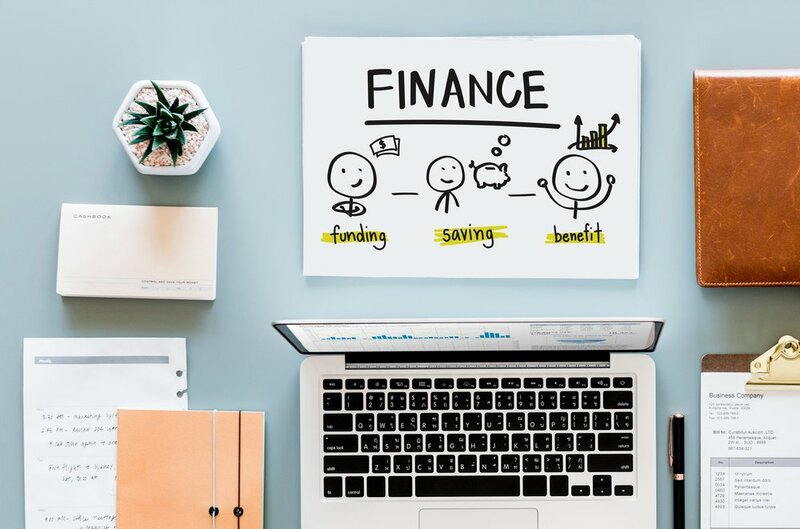 But we named it this simply because it is designed to provide people with the knowledge and skills that will help them reach their financial goals. This program is designed for people who want to invest but don't know where to start. For more details visit our Learning For Purpose page. Managing your finances doesn't have to be hard. All it takes is a little time and learning. Growing up I would watch the pre-market trading, the pre-market talks, and the opening bell every morning before school with my dad. While this may have been a good habit it's hard for a first grader to stay awake at 4AM. I grew up in Oregon so having the pre-market hours be on east coast meant that I had to wake up EARLY. But thanks to this I have 17 years of knowledge about the markets, how they work, terminology, and trends. This is something that not many other 23 year olds have. I didn't realize that it wasn't common for people to have, what I thought was, general financial knowledge until high school. During my sophomore year English class I was talking with a friend debating whether to get an AMD or Nvidia graphics card. Then my friend made the statement "Why buy an AMD card? Their stock is so cheap they might go under." I then explained that just because a stock is low priced doesn't mean the company is going under. I told him it could be a number of things such as they had a split, earnings came out and caused a bad day, or that they were just having a tough quarter. He looked at me as if I was speaking another language. So I decided to talk to a few other friends about general finance and they all were equally as confused. I brushed it off and figured that it was simply because none of us were 18 and couldn't easily invest in the stock market. Fast forward a few years to my portfolio management class in college. The group project for the term was to develop an investment portfolio and manage it throughout the term while giving weekly updates on various aspects of the portfolio. I was so excited because this meant an easy project. I could just use my actual portfolio for this and then report on it. So I get to my first group meeting and one person says "This project seems way too hard. I have no idea how to pick stocks or manage a portfolio." Then the rest of my group all starts talking and to my surprise they are all in agreement. In a group of seven, upper-division, college students six of them had no idea how to do what I had been doing for years. After the group meeting I went to my professor's office hours to talk with him and voice my fear that I would be stuck doing all the work. To my surprise he told me that was actually extremely common. He said that generally he has 1 or 2 students per hundred that have ever even traded stocks much less manage a portfolio. This was unbelievable to me that on average less than 2% of upper-division finance students, people who are studying this for four years with the intent to go into this industry for the rest of their lives, had any idea what they were doing in a real world situation. That is when I realized that there needed to be a resource to teach anyone how to invest and manage their finances. So I started teaching a few different groups of friends how I trade, invest, and manage my money. To their surprise it was actually a lot easier than they thought it would be and they got pretty good pretty quick. Then I started teaching my bosses two children how to trade as well. This proved to be a bigger challenge because a 9 year old and 11 year old have a much shorter attention spans than someone who is used to four hour lectures. So I had to get creative and come up with fun ways for them to learn. Now I am taking the skills that I have learned over years of first hand experience and making them available to people everywhere of all ages so that they don't have to wait till years to learn what they could be doing right now.